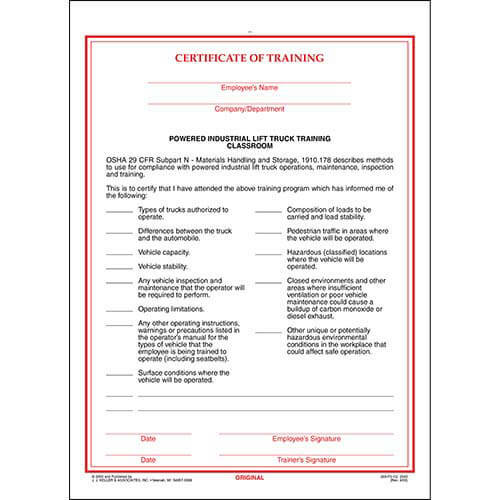 2-ply, 8-1/2" x 11-3/4" Read more. 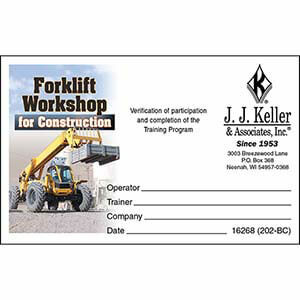 View a sample Powered Industrial Lift Truck Training Certificate, Front. 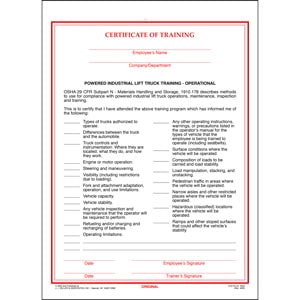 View a sample Powered Industrial Lift Truck Training Certificate, Back.